Aussiecon Four was my first fannish geekfest and as a virgin con goer I couldn't have had a gentler deflowering. 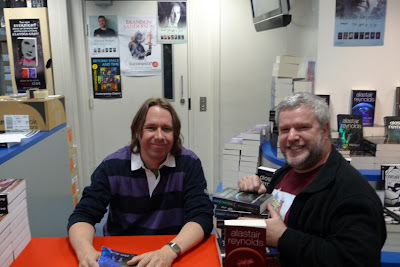 Part of the thrill of attending something like Aussiecon is meeting the authors of the books I admire most. I can remain reasonably cool when meeting and talking to most celebrities except for authors I respect. I get a bad case of the star struck fan boy syndrome. I start sweating, I forget what I was going to say and when I do talk I mumble like a dribbling imbecile. Thankfully nearly all the authors I have been lucky enough to meet the last couple of weeks have been friendly, courteous and generous with their time. 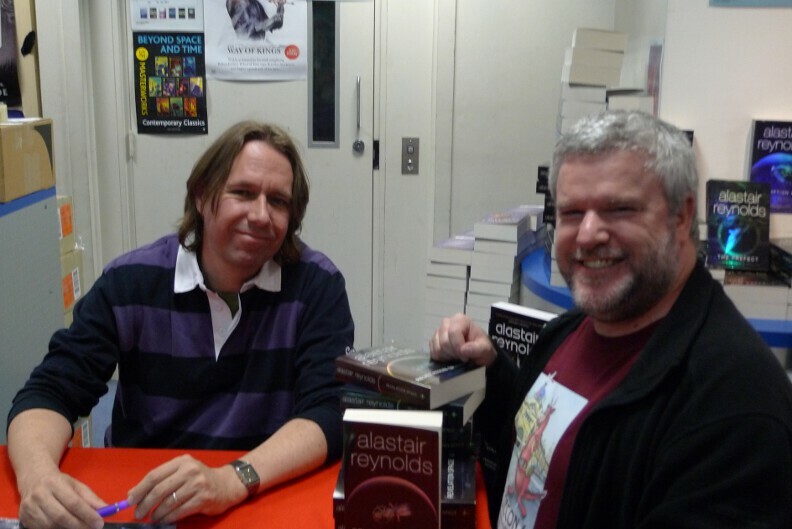 Alastair Reynolds is no exception. I was lucky enough to attend a couple of the panels he was on at Worldcon. He also, very graciously, signed the paperback of Revelation Space I had with me in Melbourne when I baled him up after a panel. I have nearly every other book he has written but they are door stoppers so there was not much chance of me taking them on the plane to Melbourne to get signed. Conveniently for me Alastair visited Sydney after Worldcon and had a book signing at the Galaxy. 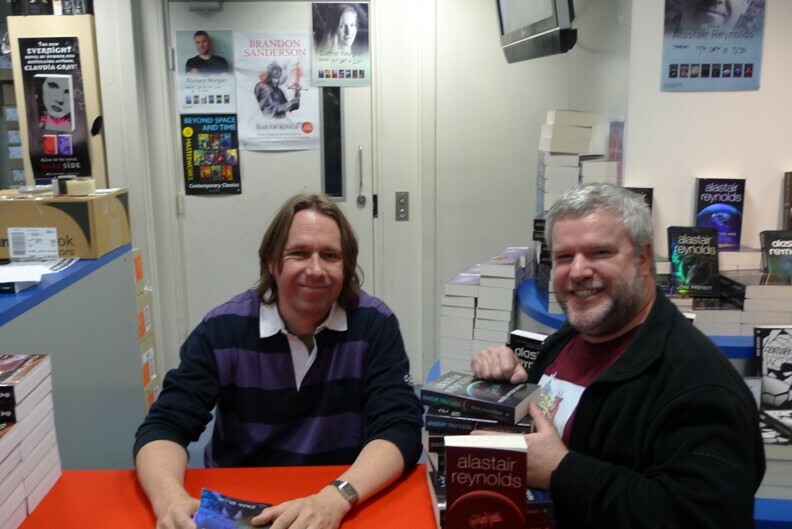 The Galaxy was also a little quieter than Worldcon so I had plenty time to get all my books signed and have a chat with the charming Mr Reynolds. Alastair is the author of the brilliant Revelation Space series of hardish far future space opera novels, a couple of other stand-alone novels and a bunch of novellas and short stories.